Welcome to Serenity at Juanita! This peaceful complex was updated in 2015 with new modern siding, decks, paint, windows, and landscaping. Upon arrival, one might guess the buildings were brand new! This corner unit home sparkles with new carpet, plank laminate floors, designer trim and moldings, and fresh paint! The kitchen has quality cabinets, granite counters, and a seating bar. And what an ideal location near the greenbelt, pool, and clubhouse! 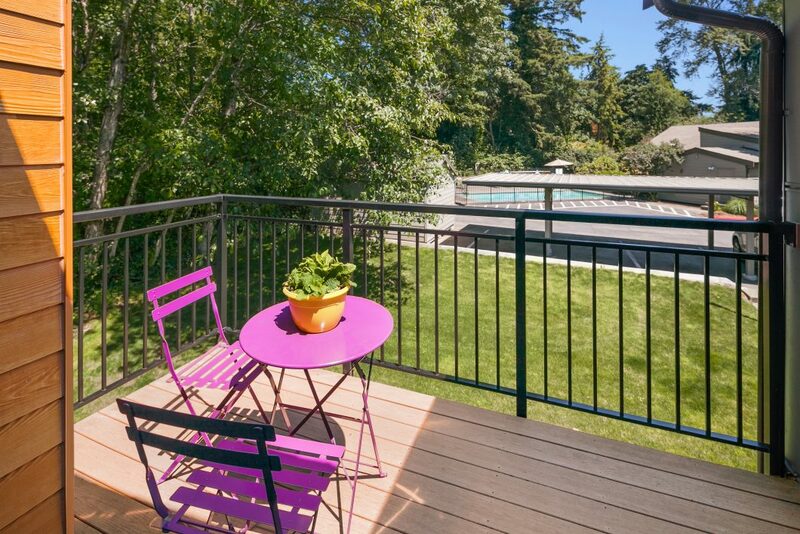 Enjoy the cabana, play area, sport court, and beautifully maintained grounds. Roomy end parking spot plus ample guest parking. What a convenient place to live! Just two minutes to I-405, close to park and ride, and convenient access to retail at Juanita Village.